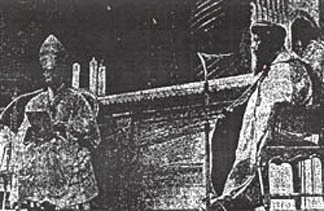 Paul VI meets with Shenouda III, the head of the Monophysite Copt sect of Egypt. Shenouda calls himself "pope" and uses the title of patriarch of Alexandria. At the top left, Paul VI and the heretic sit on equal chairs to read their speeches. 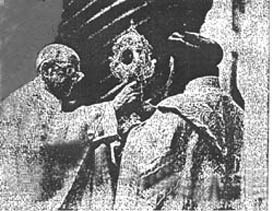 Top right, Paul VI delivers to the Monophysite a relic of St. Athanasius, Doctor of the Church and great Patriarch of Alexandria. 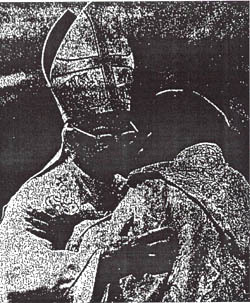 Below, the embrace after the act.